Inishbofin Island is situated off the coast of Connemara, in the west of County Galway, Ireland. To get to Inishbofin, you must take the ferry from Cleggan pier, located northwest of Clifden. The ferry leaves Cleggan pier three times a day during peak times and twice a day during the off peak times. Check out the ferry website for up to date timetable information or to book tickets online. The route to Cleggan takes you from Galway across Connemara on one of the most beautiful roads in Ireland (N59, the road from Galway to Clifden via Maam Cross). This road separates Connemara into two parts, showing two quite different faces: in the south there is a flat landscape of lakes, in the north there is the dramatic landscape of mountains (The Twelve Pins). From Clifden, the historic capital of Connemara, take the road for Cleggan and then, on to the pier. 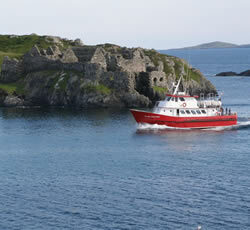 There is a daily ferry service to Inishbofin all year round. There are three sailings daily to and from the island during the summer months and two sailings daily during the winter months. For timetables and more information on the ferry service please check out the ferry websites. Tickets can be booked online for the ferry. There is a daily coach service from Galway to Cleggan. Citylink coaches leave from the bus depot on Foster Street in Galway. 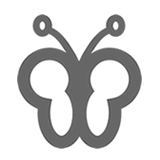 Check out their website below for up to date timetables and location information. Please check out our boating page for more information.